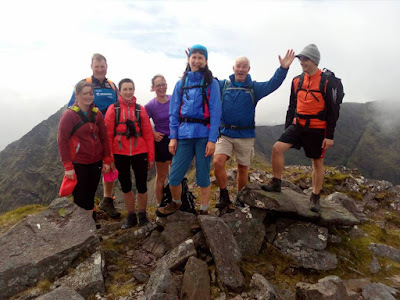 Back in the Reeks and again and this time to do one of the best circuit walks in Ireland which takes Ireland's three highest peaks: Beenkeragh, Carrauntoohil and Caher, plus a few more. Starting with the Hydro Road again (for the third time this year and there will be no more!) we made our way to the lakes, turned left then and started climbing up Cnoc Iochtair and then Skregmore. Very warm and sunny day soon changed into a chilly and windy one, but luckilly the sun stayed with us. After a quick stop at Stumpa Barr na hAbhann we climbed up Beenkeragh and started getting ready for the biggest challenge of the route which is Beenkeragh ridge. We split up and reorganized the group. 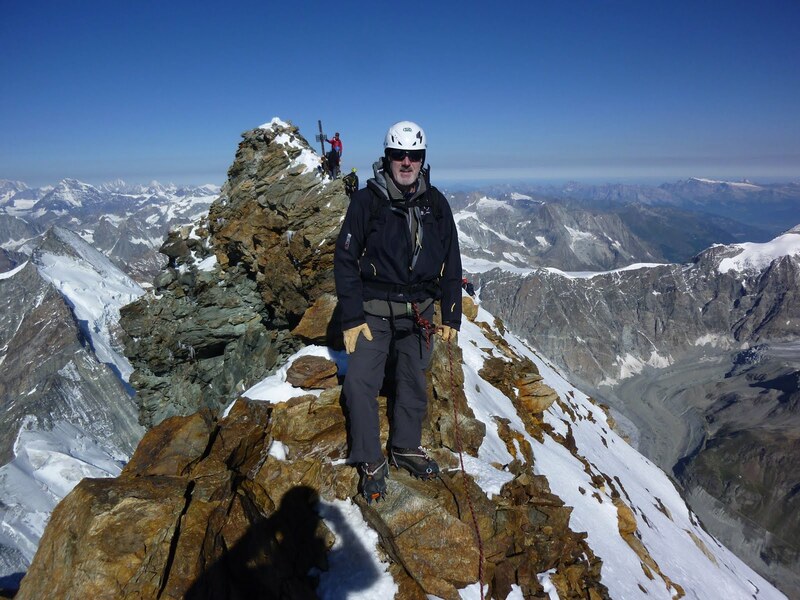 The two bravest decided to scramble every rock on the ridge, while the rest used easier route safely led by Denis. 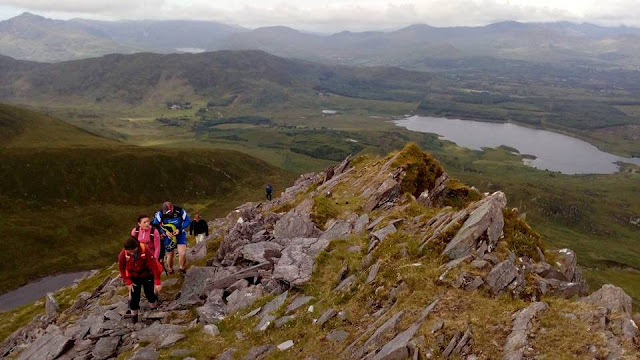 The ridge was really enjoyable with glorious views. There's very little days like this in this country so every time it happens to be like this we feel really grateful and we try to make the best out of our trip. 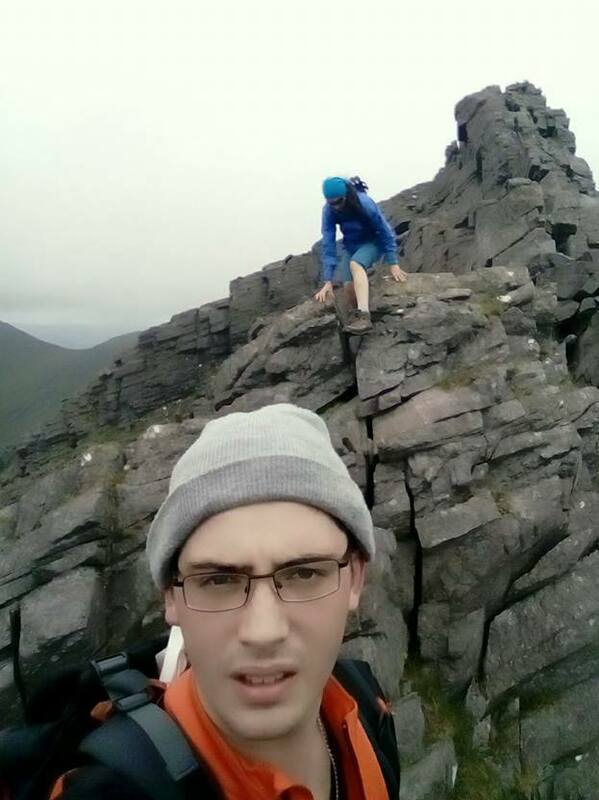 It's not a very difficult ridge, but think twice if you don't like heights. Even if you decide to use the path going around the rocky bits you'll still be quite exposed in places. 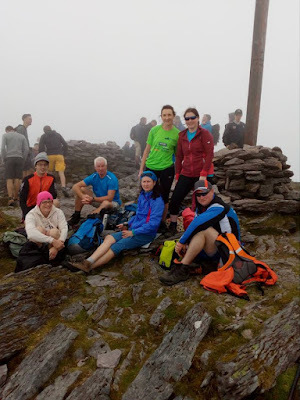 After crossing Beenkeragh Ridge we started climbing Carrauntoohil and soon the weather started changing bringing clouds and mist on top of us and they stayed with us all the way down and up again to Caher. Caher Ridge is not as exposed as Beenkeragh Ridge but you should still be careful in windy conditions. We descended from Caher in foggy and drizzly conditions but we managed to escape the heavy showers. A day like this will remind you how changeable the mountain weather is. Even on a warm sunny day you should be prepared and have your fleece and waterproofs ready just in case.